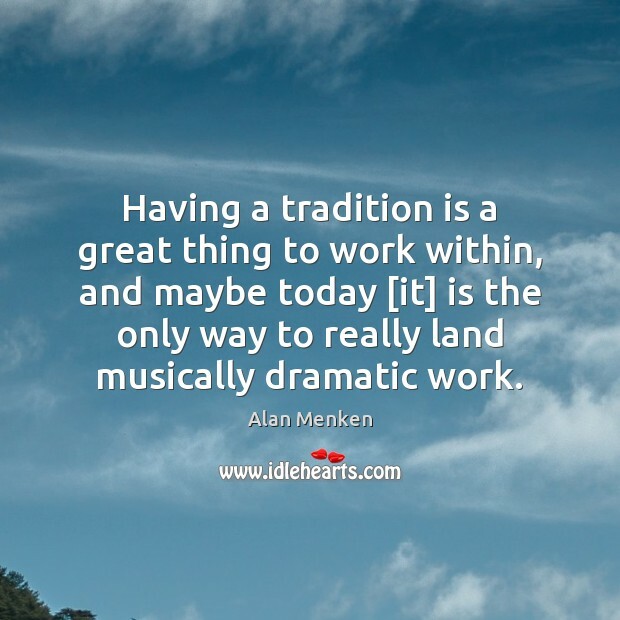 Enjoy the best inspirational, motivational, positive, funny and famous quotes by Alan Menken. Use words and picture quotations to push forward and inspire you keep going in life! 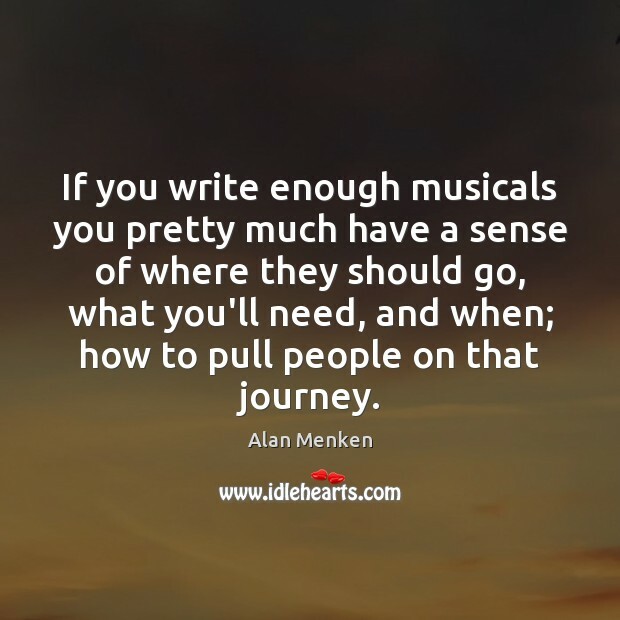 If you write enough musicals you pretty much have a sense of where they should go, what you'll need, and when; how to pull people on that journey. 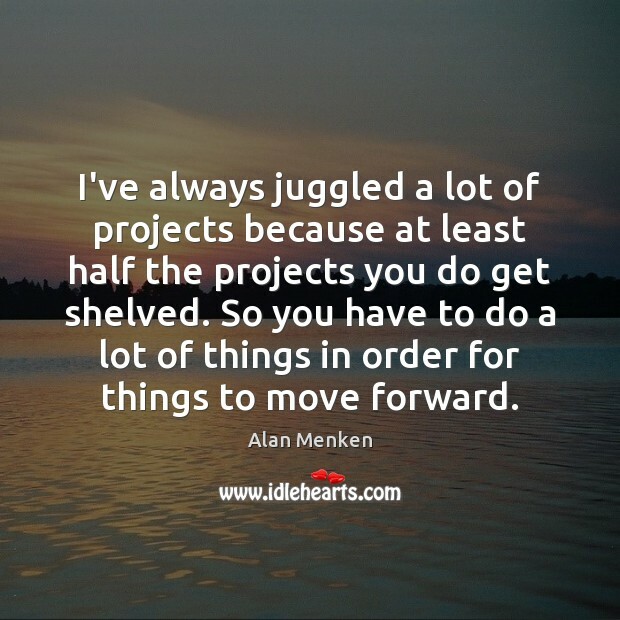 I've always juggled a lot of projects because at least half the projects you do get shelved. So you have to do a lot of things in order for things to move forward. 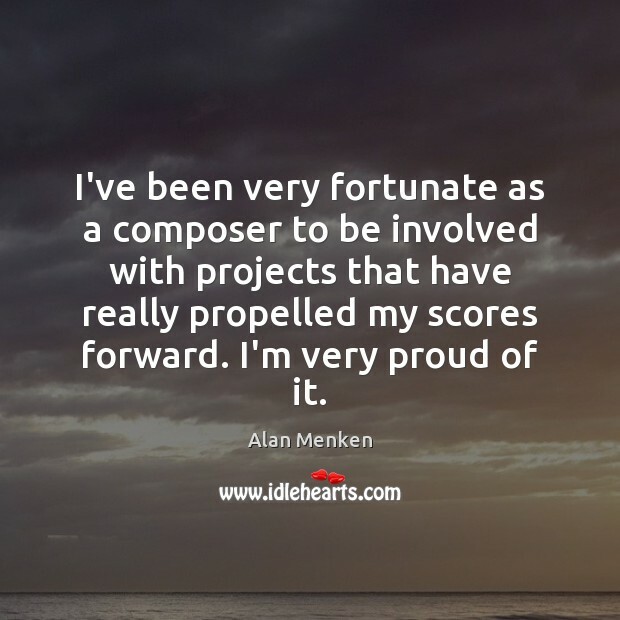 I've been very fortunate as a composer to be involved with projects that have really propelled my scores forward. I'm very proud of it. I don't write songs for myself anymore. I only write songs on assignment. 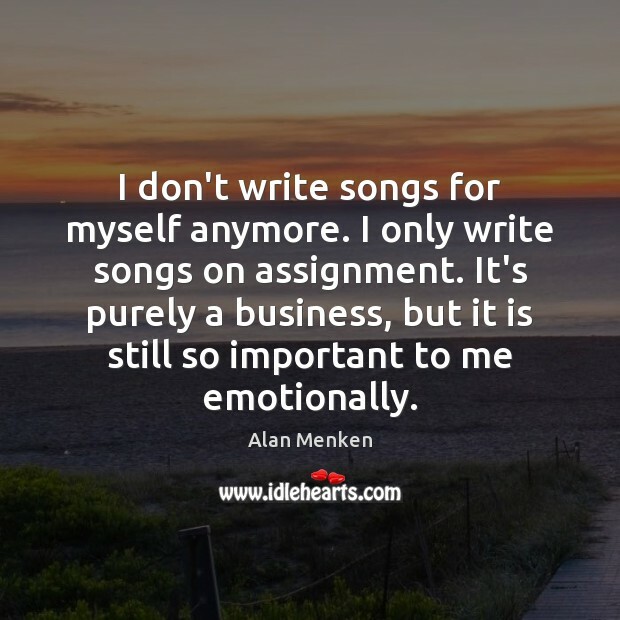 It's purely a business, but it is still so important to me emotionally. 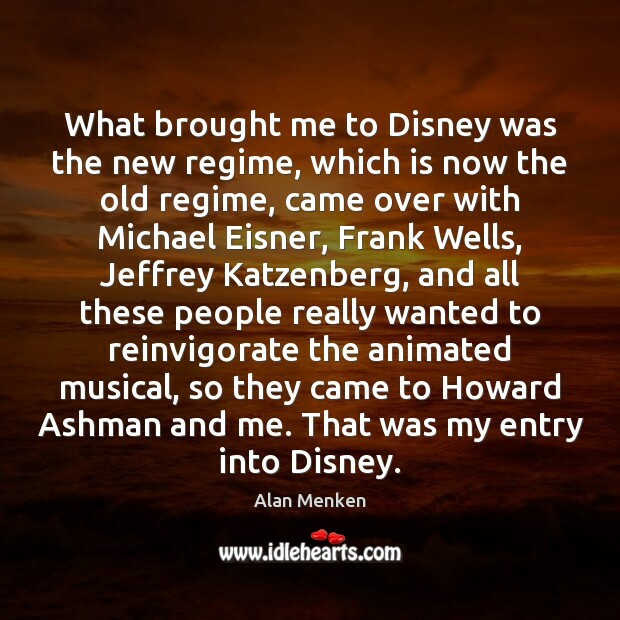 What brought me to Disney was the new regime, which is now the old regime, came over with Michael Eisner, Frank Wells, Jeffrey Katzenberg, and all these people really wanted to reinvigorate the animated musical, so they came to Howard Ashman and me. That was my entry into Disney. Collaboration is being open to each other's ideas and benefiting from each other's perspectives in an open way. Collaboration is all about rewriting and rewriting and rewriting and helping each other to constantly improve a piece. And, it's also about spurring each other on to doing really great, hard work - it's easier to do it in a collaboration than on your own. 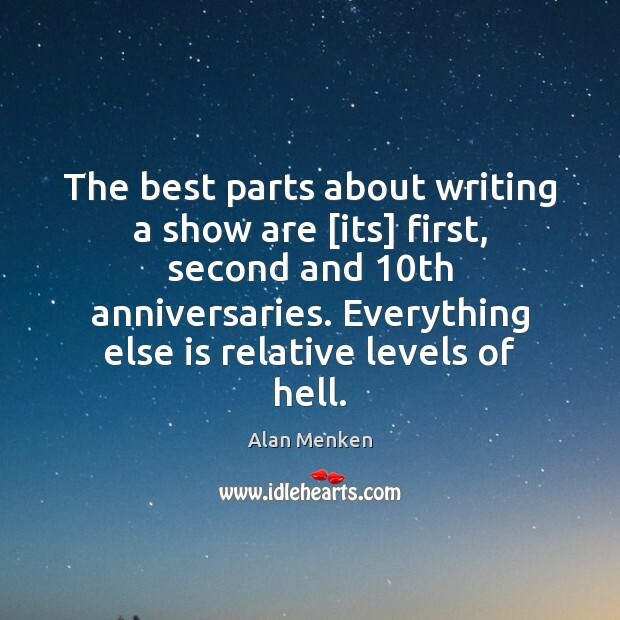 The best parts about writing a show are [its] first, second and 10th anniversaries. Everything else is relative levels of hell.